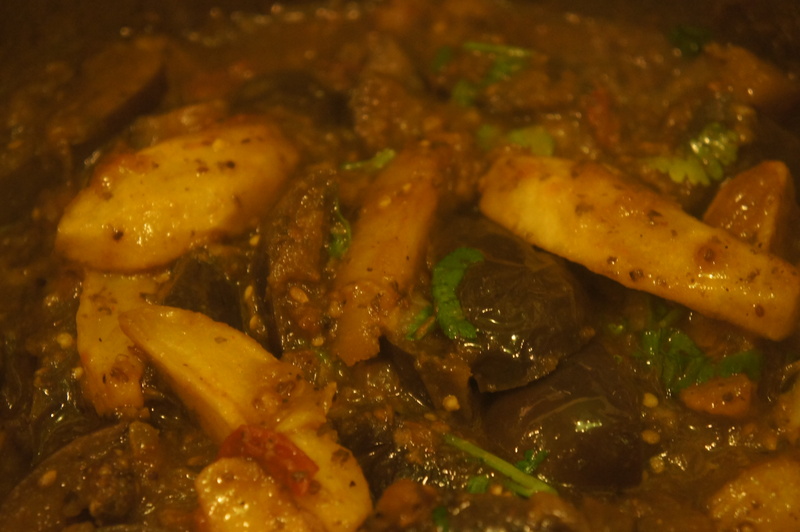 Spicy aubergine and potato curry | Life's Conundrum - Eat to Live or Live to Eat? 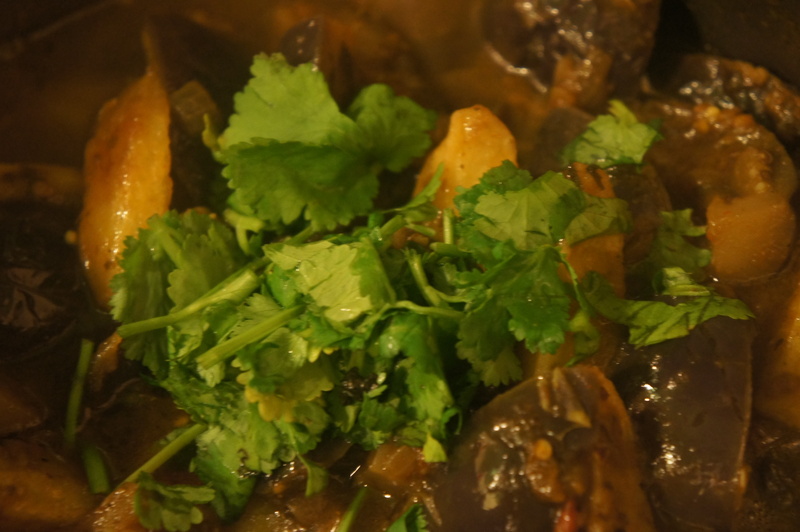 Posted on October 22, 2013 by Anna and Shiv	• This entry was posted in Uncategorized and tagged aubergine, baingan aloo, Black pepper, caraway seeds, Chili pepper, Cook, Coriander, Cumin, Eggplant, mint, Mortar and pestle, Onion. Bookmark the permalink.